THE military is about to see a huge boost, with the Army's existing Australian Light Armoured Vehicle set to be replaced following a $5 billion LAND 400 defence contract. A frontrunner for the contract is BAE Systems Australia's AMV35 - a highly versatile combat reconnaissance vehicle, which is feared for its speed and tactical maneuvrability. As it currently stands, over 1200 AMVs are in service with seven countries, while the vehicles have earned an outstanding combat reputation in Afghanistan. At the core of the defence systems is the AMV's deadly 35mm turret system, which is able to precision fire out beyond 4000 metres. "The AMV35's turret system uses a conventional layout where the breech of the cannon sits between the commander and gunner," BAE Systems explained. "This means that the weapon's trunnion - its balance point - is centralised inside the AMV's broad turret ring, delivering a balanced and highly accurate firing platform." The AMV35 can also be fitted with an integrated anti-tank missile, capable of precision engagement beyond 4000 metres. "This will give an Australian AMV35 crew a significant tactical advantage over threat reconnaissance elements that can only engage over shorter ranges," explained BAE Systems. According to the company, the vehicles have unparalleled battle space awareness delivered by networked battle management systems and design. "The AMV35 is a digitised platform that uses open architectures to simplify the delivery of a common operating picture to the crew," the company explained. 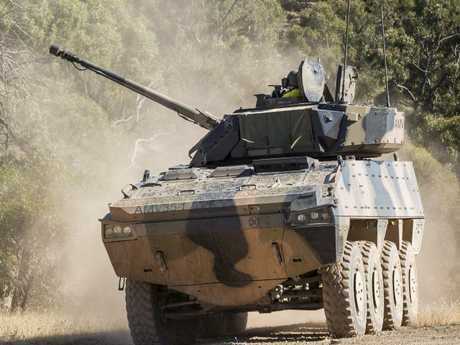 BAE Systems Australia Patria AMV35 are undergoing testing and evaluation as part of a 12-month risk mitigation activity to assist Defence in picking which system is more suited to their needs. "The physical dimensions of the AMV35 are constrained, making it a difficult target to detect and engage. Its thermal signature can be further mitigated using the Saab Barracuda mobile camouflage system." With three steering axles, the AMV35 has an excellent power-to-weight ratio and can deliver outstanding manoeuvrability in complex terrain. If successful, BAE Systems Australia will build a world class defence hub in Victoria, consolidating the company's maritime, aerospace and land businesses into a single facility. "[The] advanced manufacturing centre ... will include a simulation and training and a test facility. Once in service, the centre will be used to upgrade and maintain the vehicles over their 30-plus year service life," explained the company. "The hub will enable up to 1000 engineers and highly skilled technicians to design, develop, deliver and maintain new defence platforms and systems for the Australian Defence Force." BAE Systems Australia's bid to win the $5 billion defence contract has been supported by the Victorian government as it believes it would inject close to $1 billion into the state's economy and create up to 2000 manufacturing and supply chain jobs. 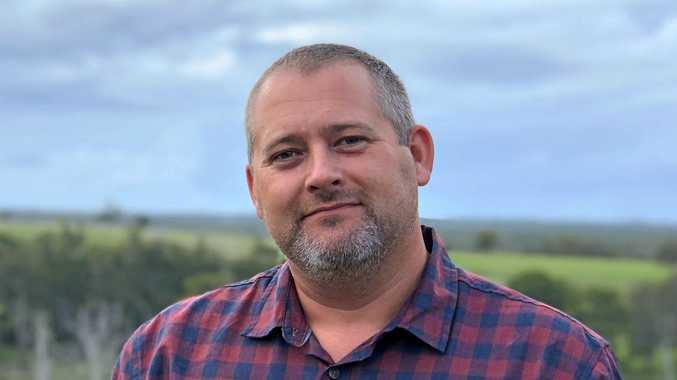 The company is in the running for the contract with German company Rheinmetall Landsysteme GmbH, which will base its operations in Queensland should it become the successful tenderer. Continue the conversation in the comments below or with Matthew Dunn on Facebook and Twitter.